Welcome to the Cooper Vault and thank you so much for joining or visiting with us. a fan for fans of the Sly Cooper fandom to come together and have fun. News about the forum or Sly Cooper will be posted here! Questions about the forum? Any ideas for how things could be improved? Post here! Discuss topics like what you would like to see in future Sly installments and memories while playing the game. The game that started it all. Talk about Sly 1 here! The game that made Sly Cooper what it is now. We find out it has only begun! 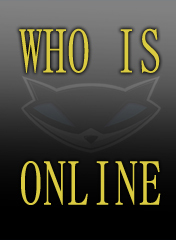 come and show off your Sly Cooper Fanart and/or graphics and get some feedback from the clan. Got a Fanfiction your dying to share. Well we're dying to read it! We all know you worked hard to make that Sly Cooper Music Video. Come share it with us! You may also post play through and video reviews here. The few, the proud, the Sly Cooper Cosplayers! Need help? Planning on cosplaying and need a partner? Just want to share your costume? Post it here! Got a Sly Cooper Original Character? Come join the roleplay and tell use your characters story! Got some merchandise you want to share? Made a Cooper Cane or selling Sly Cooper related items? You just don't know which Forum your Topic fits under? Post it here! Discuss anime and manga with your fellow Cooper fans! Discuss other video games and post non-related Sly Cooper Videos here! Got a favorite movie you want to share or you just saw a movie your dying to talk about? Post it here! Got something on your mind? Just need to talk? Post your rants and worries here.